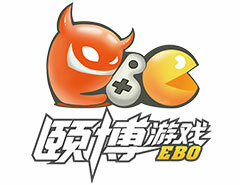 Tianjin EBO Digital Technology Co.,Ltd ( abbreviation as EBO Game in follows) was established in June 8th,2010. Since it set up, it experienced three great changes of production in Chinese game industry : client game, web game and mobile game and it was always concentrated on independent research and operate. EBO Game has their research and operate bases in Tianjin,Beijing and Shanghai and the businesses cover PC internet game,web game, mobile game, production of CG film, research of application and H5. EBO Game sets their strategic target as integration of researching and operating and aim their idea of keeping innovation for making quality games. With the efforts by all EBO staffs, the company has win many famous prizes in game industry such as: Gold Feather Award, Gold Wing Award, Internet Game Publication Project of China, Fifth Excellent Game Publication in Chinese and so on. EBO Game will make a perfect experience for users with the spirit of ‘ Service for Users, Complete and Best’.